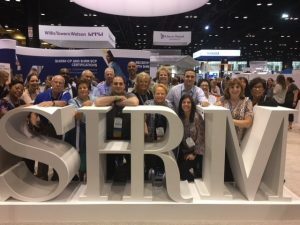 Attending SHRM18 will be an experience that I will never forget. 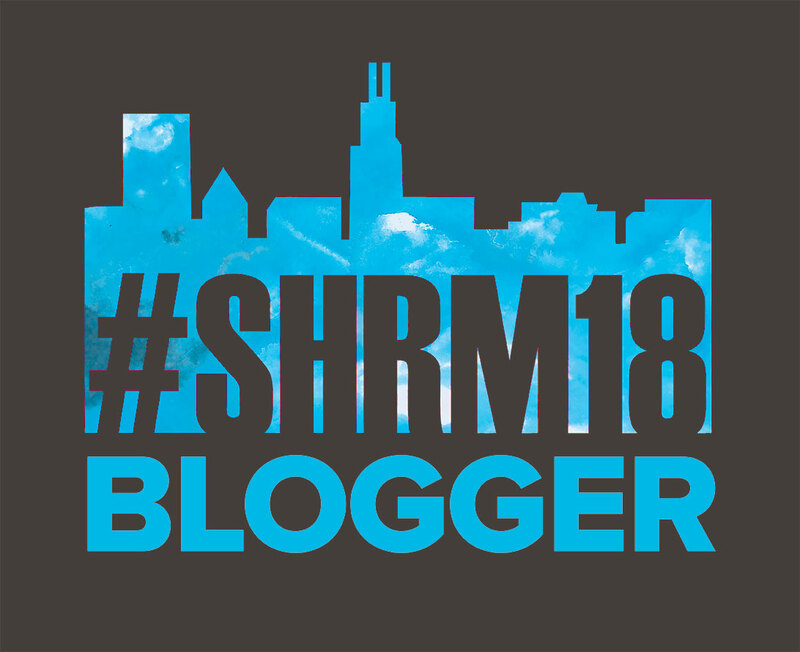 In the middle of January, I received an email from SHRM inviting me to attend the 2018 SHRM Annual Conference being held in Chicago as a blogger. I had tremendous support by Industrial U.I. Services & the Garden State Council – SHRM (GSC-SHRM). Before I knew it, my flight & hotel were booked. The following six months flew by! Now, I am writing this blog about a little over a month after the conference commenced. The CHRO Perspective: How the Best Make it Happen! 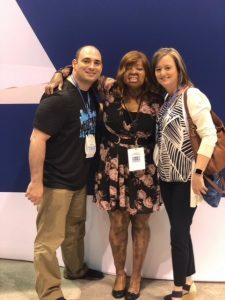 Fellow SHRM18Blogger, Paula Harvey, and myself wrote about the above session. Click here for blog. Keynote Speakers for Sunday: Johnny C. Taylor, Jr. (President & CEO, SHRM) & Former Governor Jeb Bush. Mr. Taylor, JR provided a foundation as to what we, as SHRM members, should expect in the upcoming year. He gave an awesome, truthful, realistic, and motivating speech. The SHRM President & CEO indicated that if your dream doesn’t scare you, it’s too small. He also provided three transformational/leadership key HR areas; an inclusive culture, workforce readiness and elevating the HR profession. Governor Jeb Bush provided an effective keynote with realistic and practical ideas. Politics is extremely divisive and personal, and therefore, HR does need a voice when political decisions can have an impact towards the workforce. Additionally, Kechi Okwuchi, a singer & motivational speaker, performed & truly is an inspiration. Developing Strategies for Managing Cognitive and Implicit Biases with Paul Meshanko, CEO, Legacy Business Cultures: Paul discussed the definition of bias, which according to the Merriam-Webster Dictionary 2014, is “a tendency to believe that some people, ideas, etc. are better than others which usually results in treating some people unfairly.” Click here to a recommended video (#OpenYourWorld Heinikein AD). He also discussed neuroscience and how it relates to implicit bias. Reflective Listening: The New Way to Solve Problems and Get Cooperation with Paul Endress, Founder & CEO, Maximum Advantage: Paul discussed the principles of effective communication, which are: the result of the communication is your responsibility, people will tell you everything you need to know if you listen, and it is better to be successful than comfortable. Listening fails because our brain thinks four times faster than the other person can talk. Therefore, while they are talking, we think about what they said, not what they meant by what they said. Reflective listening is decoding and verifying the idea the other person is transmitting. The Top 10 Workplace Trends for 2018 with Dan Schawbel, Research Director, Future Workplace: Dan indicated that we need to embrace artificial intelligence, focus on diversity and on skill gaps. Key trends are the aging workforce, embracing diversity, employee burnout, and how employment impacts consumers. 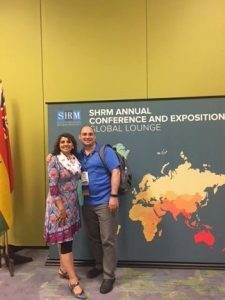 I also had the privilege of participating in a round table discussion facilitated by Dr. Melanie Peacock at the SHRM Global Lounge regarding #MeToo: What Does This Mean for International Organizations? The Forgotten ‘T’ in LGBT Diversity: Best Practices for Creating a Transgender-Inclusive Workplace with Todd Solomon, Partner, McDermott Will & Emery, LLP. The overview of this session included understanding gender identity and gender expression, the business case for transgender inclusion, legal trends, best practices for workplace policies, transgender employee benefits, and best practices for cultivating an inclusive workplace. Political Correctness at Work: How Much is Too Much? With James McDonald , Managing Partner, Fisher & Phillips LLP. Political correctness is the idea that people should be careful not to use language or behavior in a way that could offend a particular group of people. Political correctness grew up in academic circles where it constructed micro-aggressions, trigger warnings, and safe spaces. Beyond the Title: How to Lead and Influence When You Think You Have No Power with Natasha Bowman, Founder, Performance ReNEW. A lot has happened over the years. A question that Natasha asked, what could HR have done differently to change the outcome? Lead yourself by acknowledging the power and influence you already have, build relationships by investing time in people and get to know them, think critically – not critical by stopping to think as an employee, knowing the big picture, and taking time to think. Recruiting Diversity: Let’s Get Tangible with Kathryn Christie, Director of Talent Academy, Self Management Group. One of Kathryn’s first slides had the following message, “Diversity is being invited to the party; inclusion is being asked to dance” by Verna Myers. This session identified and depicted the barriers embedded in sourcing and screening processes to increase the number of quality diverse candidates, described the unique needs of different groups during the recruitment process, and lastly to build an easy-to-implement recruitment action plan that respects the needs of diverse programs. Playing Politics: The Psychology of Getting Things Done with Karlyn Borysenko, Principal, Zen Workplace. Karlyn pointed out that when you learn to navigate these “unspoken rules” of the workplace, you could achieve more than you ever dreamed. Additionally, she pointed out that we process 11 million bits of data every second…WOW. Decisions are made emotionally and justified rationally. As one can see, I attended a diverse group of sessions and learned a lot. 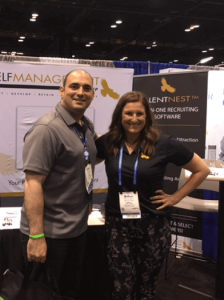 Although SHRM18 was about a month ago, I am still absorbing the wealth of knowledge obtained. 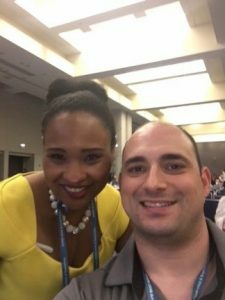 The conference was top notch and also included great keynote speakers including Adam Grant, Sheryl Sandberg, Oscar Munoz, & Coretha Rushing. 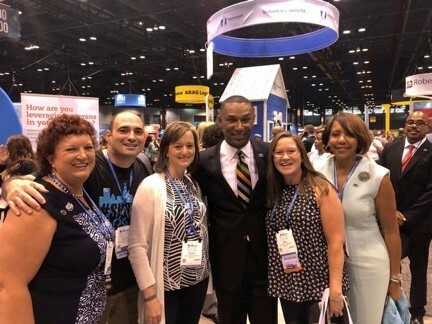 In total, there were at least 17,000 attendees making the SHRM Annual Conference the largest of its kind for HR professionals around the globe. 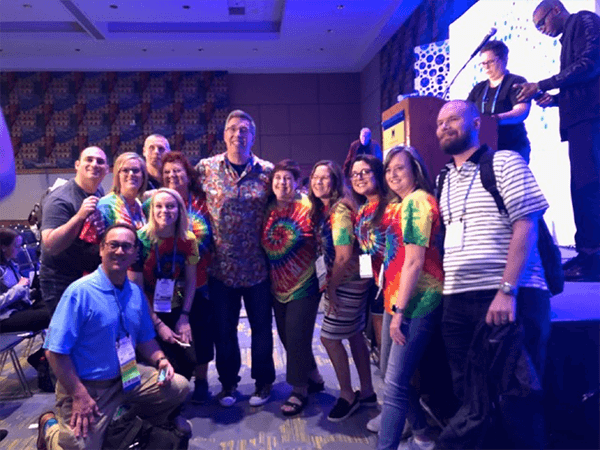 I will always remember the support I received attending SHRM18 and look forward to SHRM19 in Las Vegas!